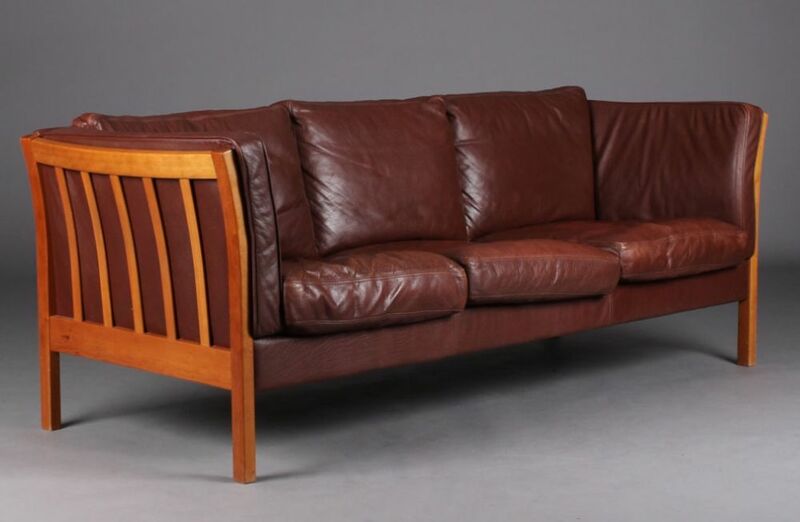 This is a very stylish leather sofa in the style of the Danish architect and furniture designer, Borge Mogensen. 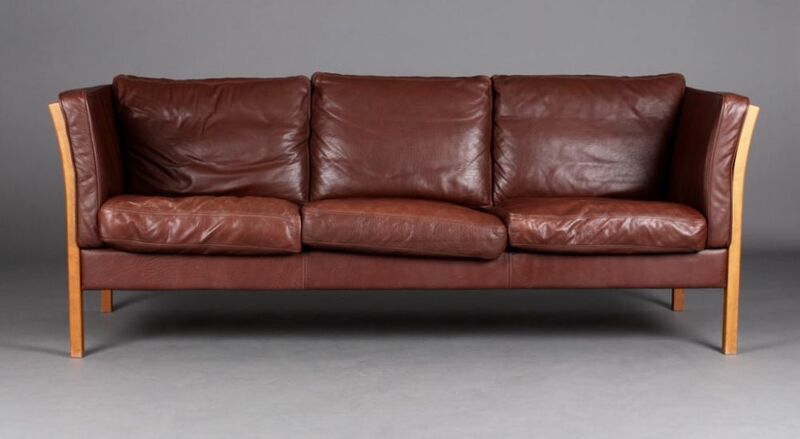 The sofa is as small as you will find for a three seater, because there's no bulk to the arms or back. 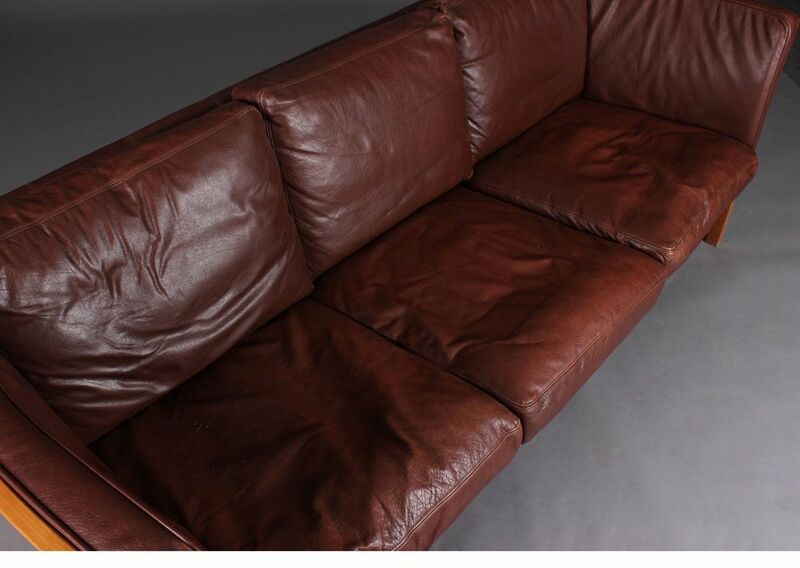 The sofa is in good original condition, it has been cleaned and waxed. The main feature of this piece of furniture is the colour that has developed over many years of use and wear. The colour is fantastic: rich, warm and lived in. This is exactly how I like to buy them, this is an antique from the mid twentieth century. 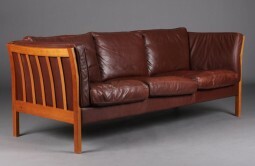 Classic design with natural materials and colours, this sofa will fit into either a modernist or traditional setting. Delivery can be arranged to any part of the country. As a guide, delivery to London and most parts of the south of England would be £85. Collection is, of course, welcome. The measurements are 205 cm wide, 78 cm deep and 80 cm high. The seat is at 44 cm.